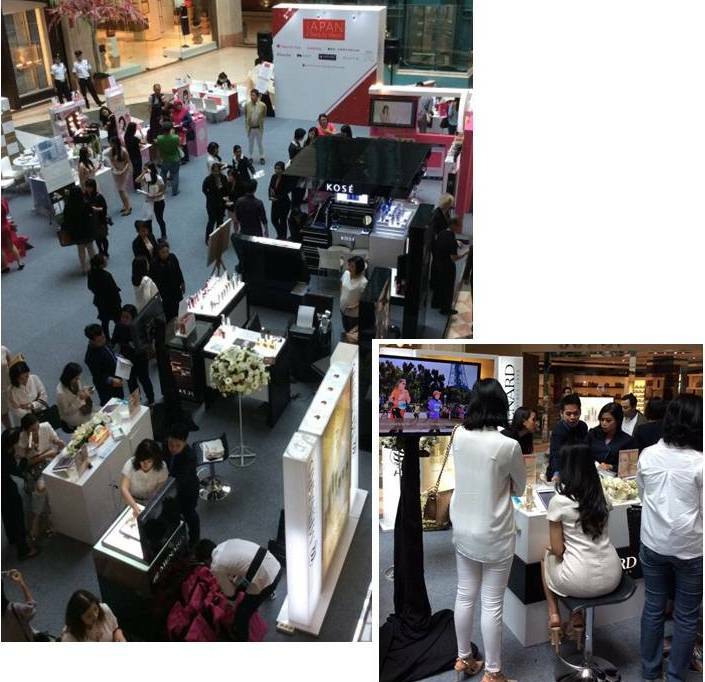 From 29th to 31st of January 2016, JBW(JAPAN BEAUTY WEEK) sponsored by Ministry of Economy, Trade and Industry, was held in Jakarta, Indonesia. Nippon Menard Cosmetic presented our own booth and introduced SARANARI line in this event. Many of visitors enjoyed touching "COOL JAPAN" culture through this event. Nippon Menard Cosmetic will contribute to the expansion of "COOL JAPAN" culture as one of Japanese cosmetic companies. Copyright(C) 2011 Nippon Menard Cosmetic Co.,Ltd. All Rights Reserved.